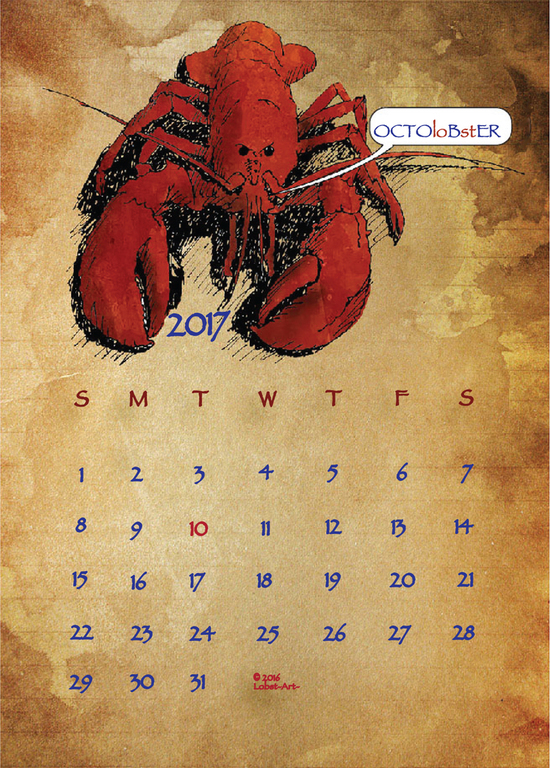 The long-awaited 2017 LobstArt Calendar is now available!! A whole year in LOBSTERS! 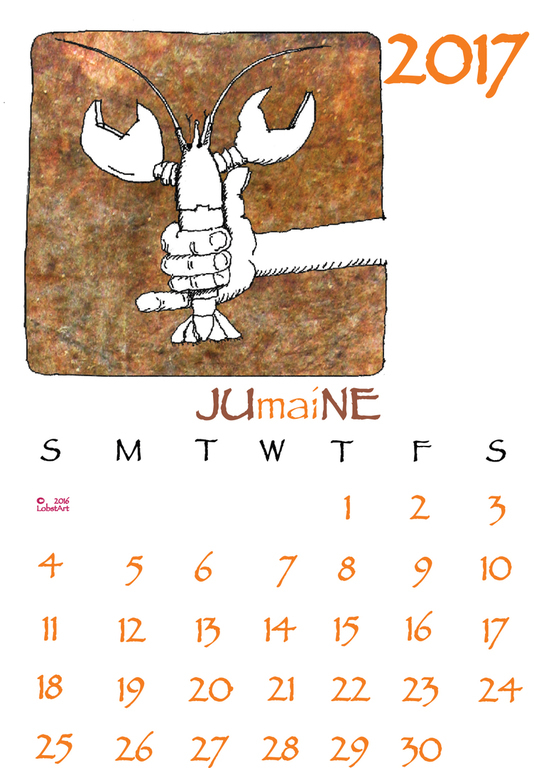 LobstArt Calendars are a must-have for the Homarus-cogniscenti. Make the year very, very special! 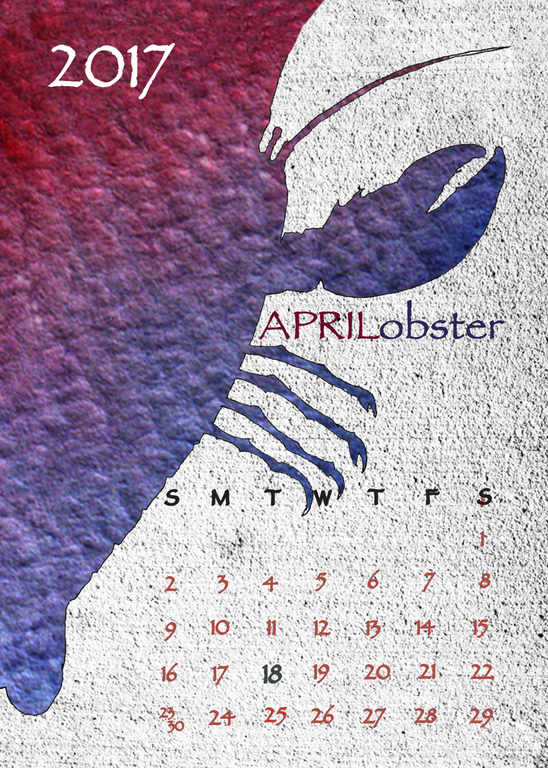 Follow its progress, month by month, from JaMAINEuary through DECElobster, with these magnificent images of America's favorite crustacean, Homarus americanus, the Maine lobster. The lobster art images are printed on heavy, 4"x6" (approx.) coated card stock. The images will revive fond memories of your Maine home, or of delightful vacations spent in the land where life is as it should be! EMail the artist @ doc@lobstart.com﻿ for further info! and directly from the artist, CONTACT HIM!